Taste test: These chips were extremely popular around the chip bowl. 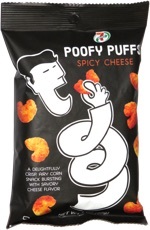 The chips are very thick (and yet also light and airy at the same time), with a whole lot of crunch and a mild pepper taste. It's quite a difference from your typical potato chip, and people liked them a lot and kept coming back for seconds and thirds. Yum! Smell test: Mild pepper aroma. Company: Good Health Natural Foods, Inc. 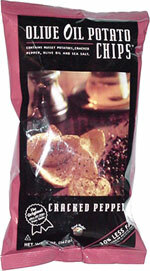 This snack was discovered by Mary at Linens'n Things. Review published .